The Defense Advanced Research Projects Agency, an arm of the U.S. Department of Defense, says its goal is to protect the nation’s food supply from threats like drought, crop disease and bioterrorism by using insects to infect plants with viruses that protect against such dangers. “Food security is national security,” said Blake Bextine, who heads the 2-year-old project. “They’re talking about massive release of genetic modification by means of insects,” said Gregory Kaebnick, an ethicist at the Hastings Center bioethics research institute in Garrison, New York, who has studied genetic modification. He wasn’t part of the team that wrote the Science paper but said Insect Allies technology could end up being destructive. Dr. David Relman, a professor of medicine and microbiology at Stanford who advised the Obama administration on biodefense but is not part of the DARPA research, said the project could play into countries’ longstanding fears that enemies would try to harm their crops. Still, Relman said, the technology could potentially help farmers fight a “bad plant virus moving across the plains” or protect crops from bioterrorism. 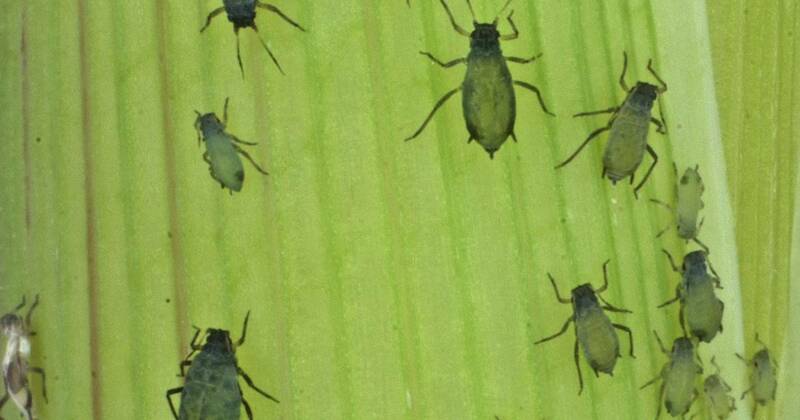 Since insects often spread crop diseases, Relman said DARPA is trying to use the bugs’ own biology to “recruit them as allies” in spreading protective traits. Though it’s not a household name, DARPA helped develop the internet, and its mission is to research potentially pivotal new technologies. The agency announced the Insect Allies project in 2016.